If you’re like me – a nerd who loves all things mystical, magical, timeless, and Narnia-like, then listen up! 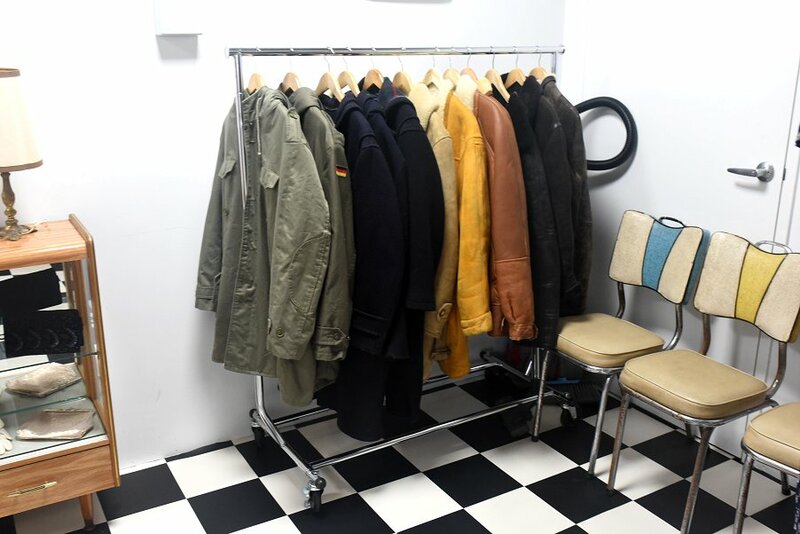 There’s a new kid on the block, in the form of a vintage store, and my oh my is it here to deliver some gorgeous classics from the golden era of the 40s right up to the pop-rockin’ 90s! Spotting the name itself should stir up your curiosity and wonder what lies within. Sure, there are lots of beautiful windows to peer through, but why not step in and have a closer look at the treasures that are hidden in this quaint but fabulous shop? After creating a successful platform by selling their beautiful items of clothing and accessories in markets across London, co-owners Amy Read and Marika Andrews have taken the next big step of opening The Lion, The Witch Vintage shop in the heart of Adelaide CBD. Renew Adelaide has been a part of this project and has helped in making this dream a reality by providing these lovely ladies with a start-up offer of using a rent-free space for the next 30 days on Frome Street. Upon walking into the store, you can only imagine my awe as I glanced over the many, many colorful racks of sectioned clothing – modest tops, floral blouses, loose-fitting, free-flowing dresses, flared trousers, tassel suede jackets, traditional kimonos, and melt-into coats, and some seriously bodacious-inducing bikinis, swimsuits, and bodysuits to best accentuate the curves on a woman! 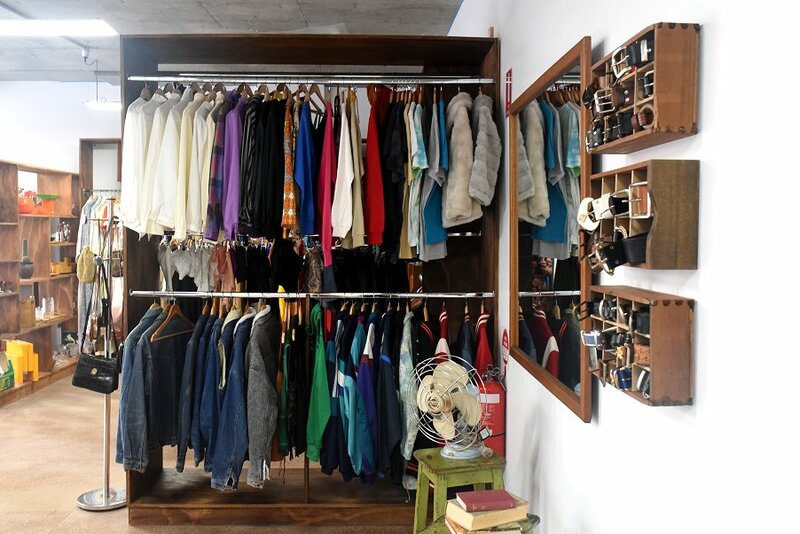 There’s no doubt that you will fall in love with anything and everything in this store. 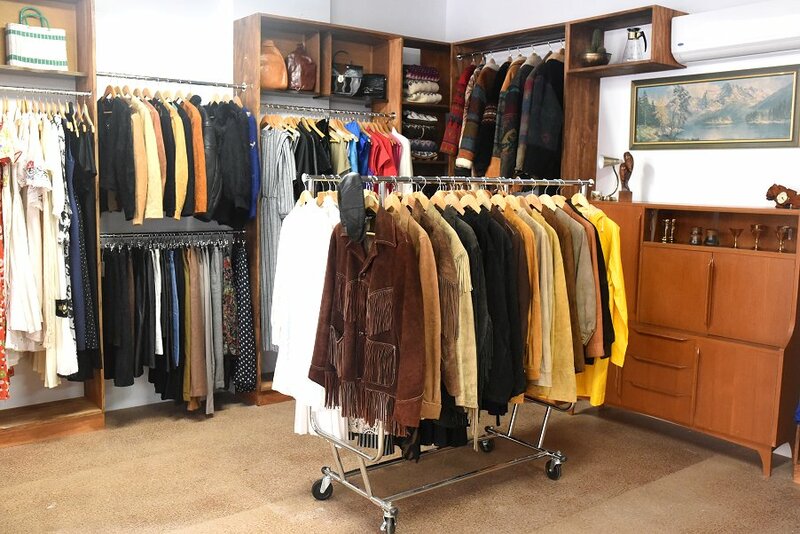 There are styles and fashion essentials that are hard to track down, sitting right here in this gold mine of a location! Let’s not forget about the decor – the ladies have done such a great job of balancing space with age. There are black and white faux-tiled floors, window terrariums and potted plants, rustic wooden shelves and benches, and the star of the place – a wardrobe that literally leads you to a Narnia-esque universe. 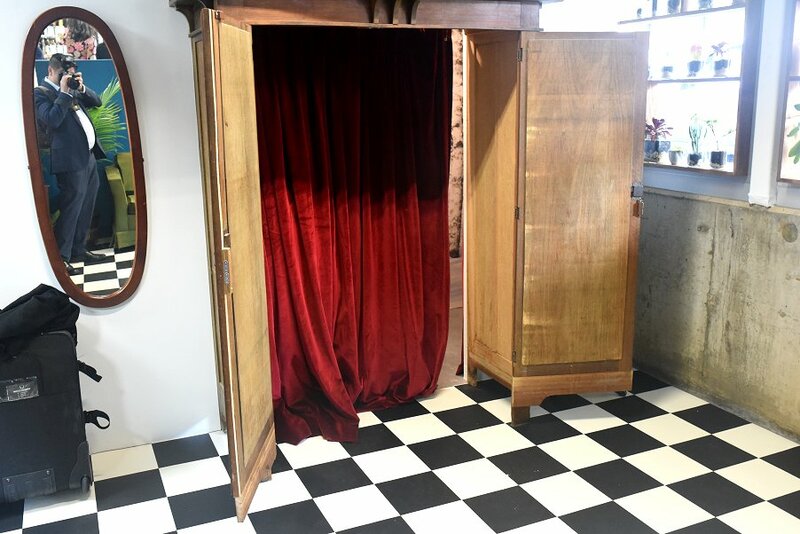 Yes, the changing room is a wardrobe with a red curtain – how’s that for feeling fancy and spoiled to the max? The Lion, The Witch Vintage is the place where you can go and get lost in a beautiful wonderland. Filled with timeless classics and glamourous outfits, this setting screams “treat yo’self” in the most accurate manner possible! Special thanks to Renew Adelaide, Marble Hill Wines and Peregrine Corporation for the property and to The Lion, The Witch Vintage for hosting us.